At our February 8 meeting, we will hold our annual fundraiser, the Container Garden Silent Auction. Proceeds will go toward educational school gardens, local scholarships and civic beautification. 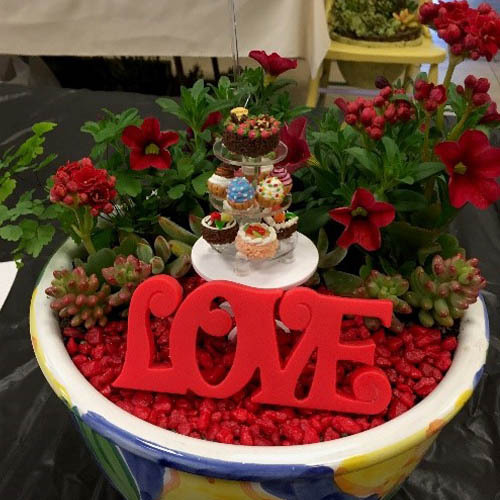 We encourage members to create original and decorative container gardens for the auction and bring them to the meeting. Have a good time making your one-of-a-kind and fabulous living work of art. Any size or theme is great. Show your creativity! We encourage everyone to bring cash, checks or plastic to buy members’ unique and beautiful container gardens. Have fun bidding for one (or two or three) that strikes your fancy — it’s all for a good cause! Plus, there will be three fabulous raffle prizes to win! If you’d like more information about the auction, please contact Lynette, who is organizing this wonderful fundraising event.